The first leg of the trip through the Champlain Canal has been particularly special for me. Not only are we traversing familiar ground in our “home” canal and seeing old acquaintances and friends, but my daughter, Emily, has been able to travel with us. I cherish our time together and being able to share the things I love such as the great communities along the canal and the joy of being on the water. In addition to our duties aboard, all the crew finds some time for exploration while in port. 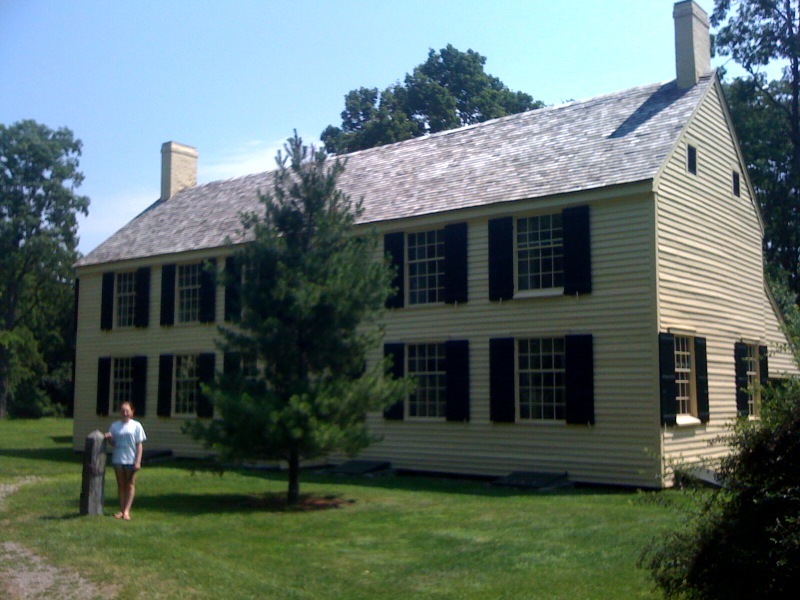 Today, Emily and I walked to the Schuyler House, a National Park Service site that’s part of the Saratoga park. This magnificent country house was hastily erected in late fall of 1777 after retreating British forces under General John Burgoyne burned Schuyler’s more elaborate and palatial estate. We had a thoroughly enjoyable tour with Park Ranger Danielle, who showed us all of the incredibly well maintained rooms. I look forward to returning to the Revolution when I go back to LCMM for our Rabble In Arms reenactment.